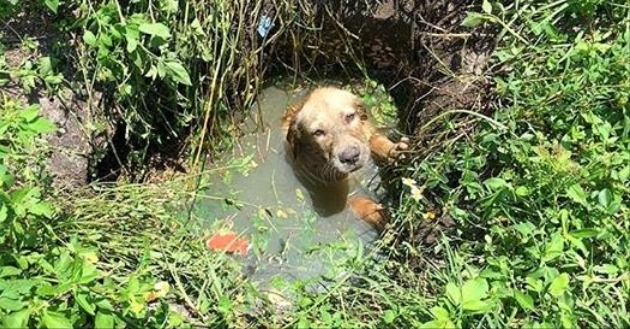 Officers from the St. Lucie County Sheriff’s Office in Florida were leaving a call when they heard something that made them stop: whimpering that was practically imperceptible, coming from a septic drain. They found a puppy on the verge of drowning. 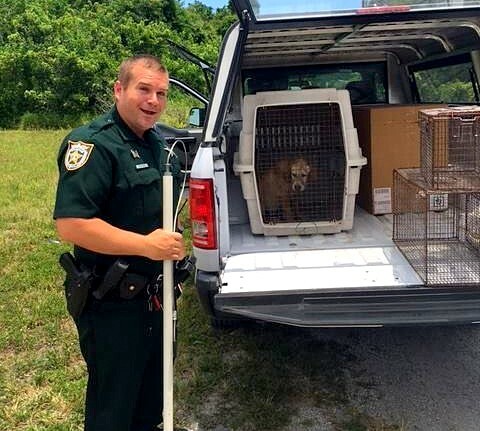 He had no home, and one of the officers felt it was meant to be that they found him, and promptly adopted him. The deputies had all but departed from the call they had just been on when they heard the faint cries coming from an empty lot. Many people would have just ignored them, but not these guys. James Gettings was one of the officers who found the little puppy struggling to stay afloat in a septic drain. 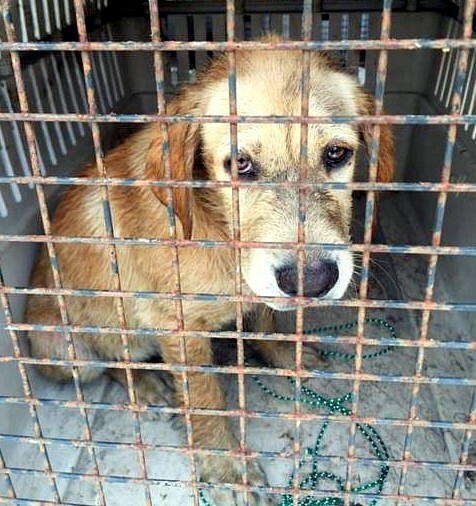 He was scared and exhausted, nearly ready to give up when he was rescued. They gave him several baths to get him smelling like a dog again, and then tried to find his family. But it seems there was none, and Gettings believed their meeting had to be fate. So he took him home, and aptly named him Puddle. 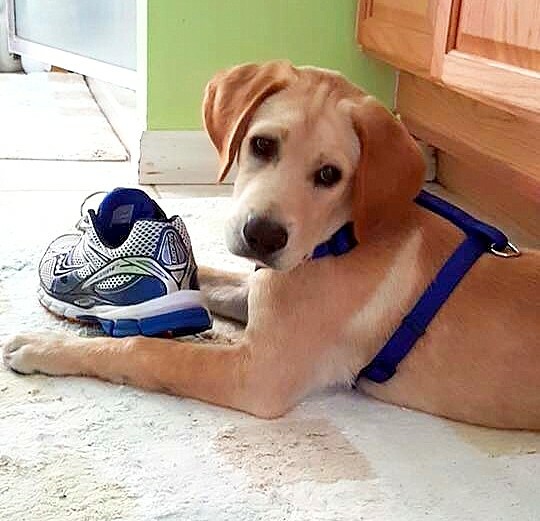 Now he is growing up very comfortably, and wants for absolutely nothing. Responses to "Police Officer Helps Save a Puppy from Drowning, then Decides to Become His Dad"
Thank you! Happy Fathers Day and you got a wonderful present! 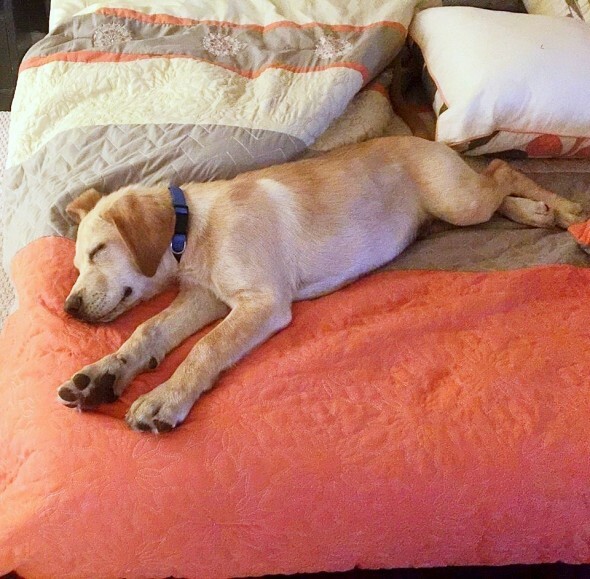 The puppy may not want for nothing, but as he gets bigger I think his owner will want another bed. So loving and cute.